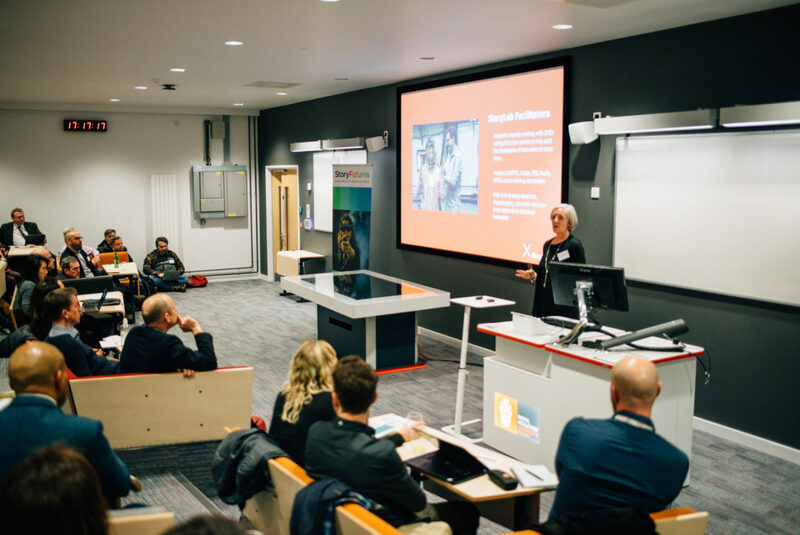 'R&D On Demand’ responds to SMEs needs by unlocking University research expertise to work on small scale projects that help companies grow in immersive and next generation technologies. R&D On Demand provides SMEs with access to researchers' time to stimulate exploratory and early stage R&D collaborations that show clear potential for growth and innovation. SMEs drawing on university reseachers' expertise can expect to benefit from the resultant IP of any R&D collaboration. Our success is the growth of SMEs in our region. Audience Insight: We offer audience testing of prototypes, pilots and fully-fledged projects to understand how they respond to multi-sensory attention cues. We provide insight in audience behaviours and accessto data in long-term trends in consumer habits. Scale up support: We offer business development support, including collaborating on funding applications and helping companies innovate in business models. Story Form: We offer creative or tech companies with a platform, software or hardware help creating, researching and testing great stories. Access to researcher time must be matched by equivalent resource and time invested in the R&D collaboration by the company. This is public money, so as always there is some accounting to be done. We’ll be asking participants to give us some basic details about their company profile, undertaking some tracking work about your company’s growth and journey and asking you to stay in touch with us. We will keep it friendly and light touch! Partnership: Companies must agree to anonymised academic publication of results and contribute to the R&D collaboration via any mix of the following: staff time, cash, IP licensing, facilities, equipment.